Adventure into the land of rich culture and explore its tremendous places. Have the best vacation of Tangier tours Morocco desert trips, where to indulge your senses in the best things to do in Tangier Morocco, including its attractions. In the first place, stroll in the marvel city of Chefchaounen in the Rif Mountains, and explore the imperial cities of Meknes and Fes. The legendary cities where to hear the tales that live in the heritage and culture of the country. This Tangier tours Morocco desert trips is an excellent trip to discover Morocco. We’ll pick you upon your arrival to Tangier, and transfer you to your hotel/Riad to relax and store your luggage. Then in the Afternoon, you can take a tour around Tangier and the surroundings to discover the things to do in Tangier Morocco. Explore Spartel Cape and the Hercules caves, from Greek hero Hercules caves you’ll have an exceptional view of the strait -of- Gibraltar and the Atlantic Ocean. Then you can visit Kasbah district magnificent Minaret. In your enjoyable tour you’ll have a great opportunity to pass by the Grand- Socco. At the end of your tour your driver will brought you back to your Hotel/riad for (overnight BB) in Tangier. 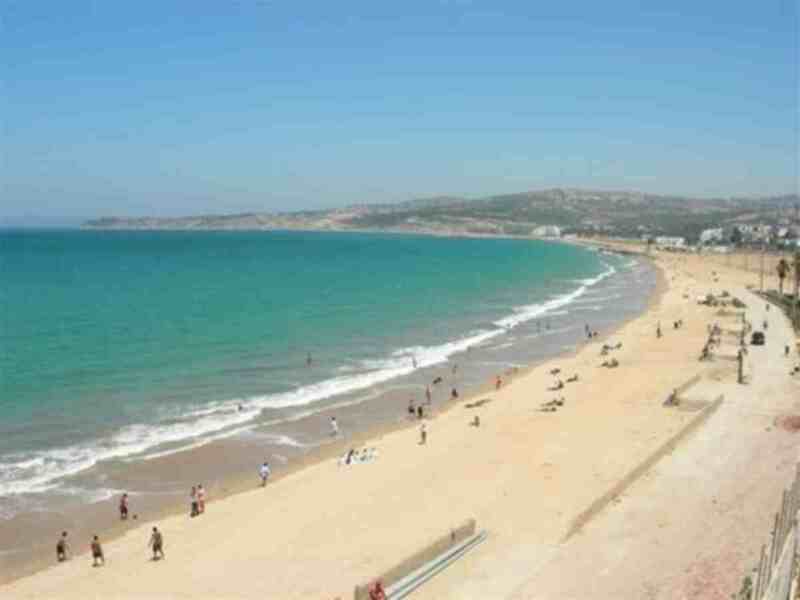 By this you will finish the best things to do in Tangier Morocco. After breakfast in your hotel/riad, your driver will pick you up to start you Trip towards chefchaouen. In the first place, this blue and white city Established in 1471 by Moulay Ali Ben Moussa Ben Rached El Alamiand. Upon arrival to Chefchaouen, we’ll drop you off to your hotel or riad to relax and store your luggage . After that, you can take a tour around chefchaouen and the surroundings and do Chefchaouen shopping. Particularly, discover the best monuments such as : kasbah and central mosque, local market (souk) full of tourists souvenirs, cafes with Moroccan original style menus. Chefchaouen Medina is small and easy to explore. In the afternoon your driver will take you back to your Hotel or riad for (overnight/BB) in Chefchaouen. After your breakfast in your riad, you will walk to explore Fes, the oldest city in Morocco. As with other Moroccan cities, it consists of two parts: the Medina and the Ville Nouvelle. Fes differs from other cities by its divided Medina which includes New Fes and old Fes. New Fes was built in the 14th century so imagine how old Fes looks like. This city was founded in the 9th century by the first Muslim dynasty to rule Morocco, the Idrissides. Since then, Fes has always played a pivotal role in the history of Morocco. Admire the landscapes of the Atlas Mountains, and venture to the Sahara desert experiencing the extraordinary panorama around lush oasis, rocky gorges and endless valleys. The desert is a ultimate place where to experience camel treks, stunning dinner show in the heart of the desert. Travel through Berber villages, palm groves, the road of many kasbahs, and Discover Ouarzazate witnessing its exceptional buildings made from the Sahara desert. After your breakfast in your riad, you will leave Fes driving towards Ifrane known as the Switzerland of Morocco. On the way to Midelt, you will enjoy the beautiful view of the mountains in Azrou which is one of the Berber villages. Then, you continue to Midelt, where you will finish your Tangier tours Morocco desert trips, in a Hotel in Midelt (BB). After your breakfast in your hotel, you will leave Midelt and drive to Merzouga. In the first place, you will travel through the beauty of Tizi Talghamt pass and Ziz Gorge. So as to enjoy the view of High Atlas plateau. Then continue to Merzouga via Errachidia and Ziz valley which is a big valley. Specifically, you will enjoy the panoramic view of this valley and the Berber houses. Then, visiting Erfoud where you will stop for lunch. After lunch you will continue driving to Rissani, you will arrive to Merzouga in the afternoon. There you will be welcomed with a very good Berber mint tea. Then you will ride your camel to watch the sunset in the top of the dunes and sleep under inside the dunes, overnight will be a camp under the stars (DBB). Experience the high peaks of Atlas Mountains, sometimes snow capped, as the way leads to Marrakech. Explore the elegant mosques, tremendous places and the spirited history of Marrakech. Furthermore,venture through the enchanting souk alleyways, and experience the night live shows in the bustling square. Indulge in the kingdom capital Rabat, and view its historical monuments. Hence, end the trip of Tangier tours Morocco desert trips in Tangier. Enjoy a full day exploring Marrakech on this excellent Tangier tours Morocco desert trips. First, you will see the historic Koutoubia Mosque, known for its four distinct faces. Moreover, the Saadian tombs and Bahia palace. Significantly, it showcases the finest examples of traditional design elements such as decorative tile, painted, wood, carved plaster, and calligraphy. 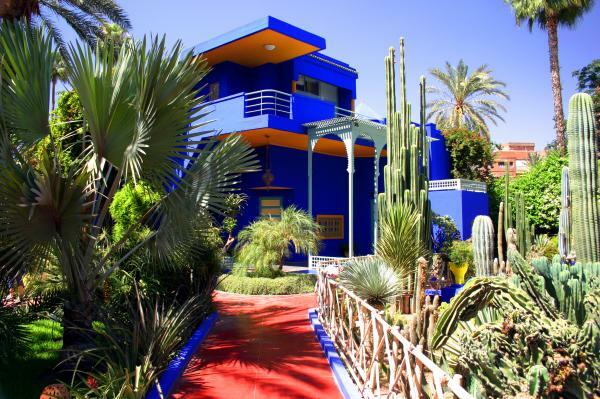 Furthermore, you will have the chance to visit the beautiful Majorelle Gardens just outside the ancient medina, where the famous French stylist Yves Saint Laurent is buried: trees and flowers from the 5 continents gathered together in an amazing oasis of peace it’s really worth to be seen. Next,visir the souks and end your day in Jama’a el-Fna square, which is a UNESCO world heritage site. In the next morning you’ll drive from Marrakech to Rabat capital of Morocco. Then, on our route we’ll make many stops to capture photos and enjoy the cool air . After arrving to Rabat, we’ll have lunch at local restaurant in the old medina. Then, we’ll make a Short tour to discover the city and its important monuments like : Royal Palace, Hassan II, Kasbah Oudaya… Finally, drop off at your hotel/riad in Rabat (BB). Departure after breakfast, your driver will take you back to Tangier airport or any place you will leave morocco from. Hence, end of Tangier tours Morocco desert trips in the airport. Dinners – Lunches – Drinks – Tip – Flight.